What would a nature photographer consider "the most beautiful animal I've ever photographed in thirty years": a wild tiger, a tropical bird, a leaping dolphin? For Susan Middleton, it was a juvenile giant Pacific octopus. 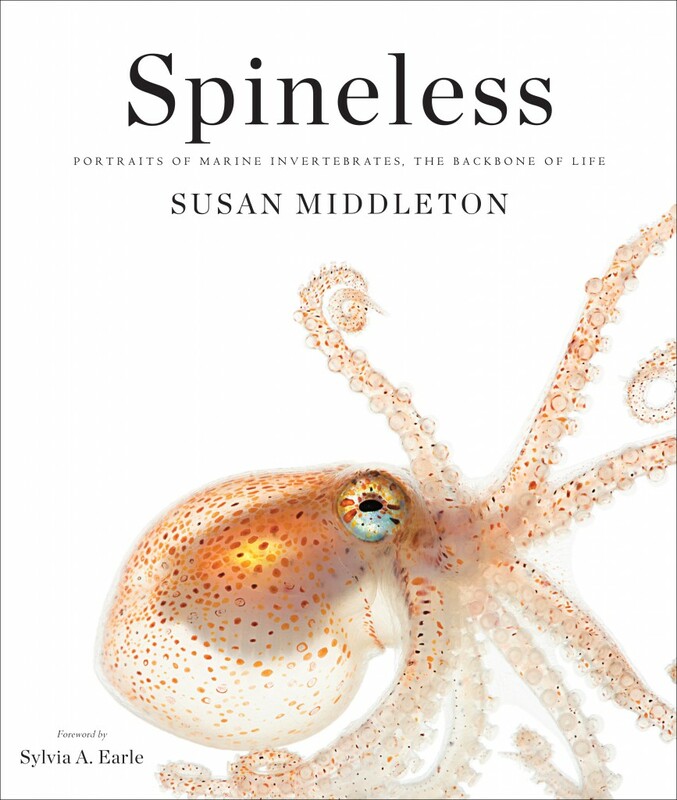 The animal's image graces the cover of Middleton's new book, Spineless: Portraits of Marine Invertebrates, the Backbone of Life, published by Abrams. 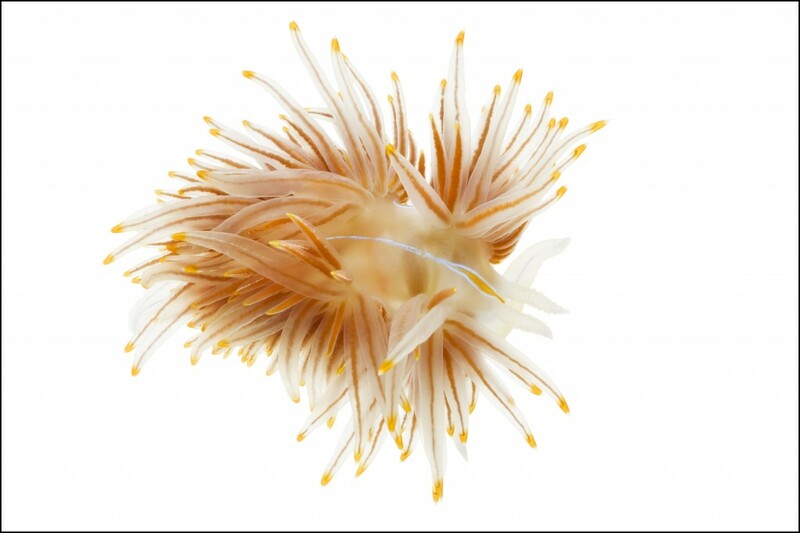 Spineless: Portraits of Marine Invertebrates, the Backbone of Life by Susan Middleton, Abrams, 2014. Although the individual in the photograph is less than an inch long, it could grow to weigh over a hundred pounds. “Even at this age it had a big attitude, like it knew where it was headed,” said Middleton during a book launch at the San Francisco Public Library last week. Middleton, currently a research associate at the California Academy of Sciences, is well-known for her conservation photography, particularly portraits of endangered species and, in one memorable case, every single piece of plastic that contributed to the death of a young seabird. "Conservation" often makes us think of elephants, condors, or lemurs, although such spined animals comprise a tiny fraction of the planet's species. The other 98% are invertebrates—creatures without backbones, like jellyfish, snails, and worms—and they are also threatened by global changes. But scientists know too little about most invertebrate species to assess their health. "I think of them as being on the front lines," said Middleton. "I'm concerned about them, because I have not only an appreciation for their beauty and strangeness, but a genuine affection for them." She considered using photography to illustrate the dangers they face, but ultimately decided to leave that to the text of Spineless, which includes her own essays and a foreword by prominent marine biologist Sylvia Earle. The photographs simply focus on the beauty of the animals—although that is a canny choice. Middleton studied portraiture with influential fashion photographer Richard Avedon, who used the same techniques for his Vogue covers as Middleton now uses for her nature images. "I know what works for advertising," she said. "Animals can use all the help they can get in the public relations department." Animal life is divided into over thirty distinct groups; the majority of these are worm-shaped. There are flatworms and roundworms, ribbon worms and acorn worms, peanut worms, jaw worms, arrow worms—not to mention earthworms and leeches. The variety is astounding, but even Middleton said, "It took me a while to understand and appreciate the worms." Like many children, the young Middleton felt a "visceral fear" of worms. It wasn't until well into her work on Spineless that her attitude was altered by some worm-loving scientists—and the worms themselves. "The worms that build the tubes were the real thing that won me over," Middleton said, referring to a group called ice cream cone worms, which carefully glue individual grains of sand into mosaic, cone-shaped houses. "They're like little artisans. They're very picky about the sand grains they collect." 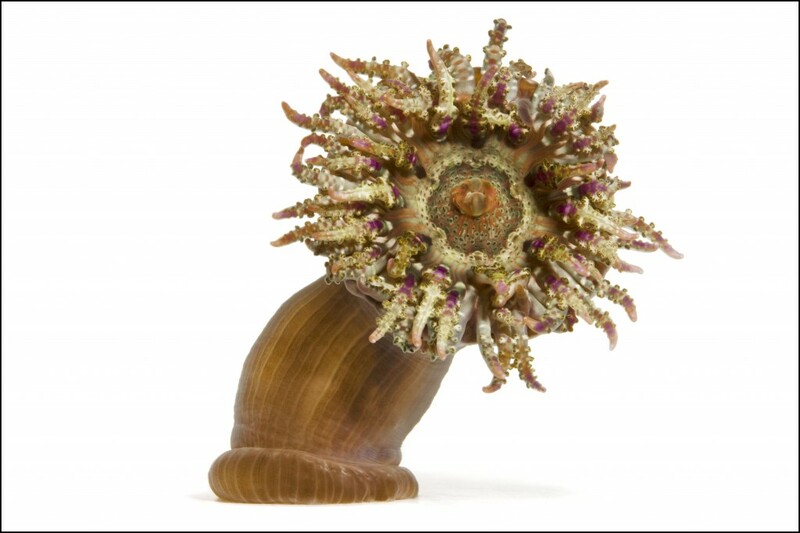 Of a different type of tube worm, frilly with tentacles and spangled with iridescence, Middleton just said: "Better than anything Pixar could invent." Even worms without bright colors or remarkable tubes can hide surprising beauty. One day the invertebrate biologist Gustav Paulay offered Middleton a bland-looking brown flatworm to photograph. He was excited to have found the rare species, but Middleton was nonplussed. Nevertheless, she brought it back to her studio. Before her lens the worm became a contortionist, exhibiting routines that would be the envy of any professional gymnast. Neither Paulay nor his students had ever seen such behavior. Middleton has been asked how she gets her subjects to behave. "I can't get them to do anything," she answers. "They're not trained animals." Her technique is pure patience. She gives them fresh water and keeps them happy with the help of the scientists who know them best. And she waits. "I can wait five hours for an anemone to open. There's no hurrying it up." Of course, not every individual takes to the limelight. Middleton had photographed a giant Pacific octopus before, without achieving the sort of portrait you'd put on a book cover. But the one that posed for Spineless had the perfect personality. "When it came into the lab, I knew this was the one," she said. "I could just tell." Individual diversity is one of the most beautiful things that we share with the invertebrates—indeed, with all life. 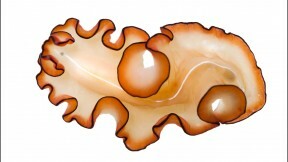 "One opalescent nudibranch is different from another," said Middleton at the San Francisco book launch. "I was amazed by that, though I shouldn't be, because everyone in this room looks different."